Original Penguin invites you to "Urbanize your Daddy" this Saturday at Lincoln Road Store! Have no fears...your Father's Day event is here! 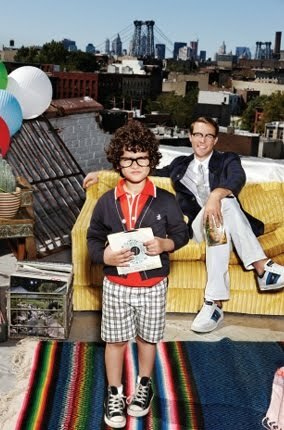 On Saturday, June 19th, Original Penguin is hosting a special shopping event called "Urbanize your Daddy" from 12 noon till 6 p.m. (925 Lincoln Road Mall, Miami Beach). During the festivities, enjoy fresh beats and treats by Sweet Street Desserts. You can also take advantage of the store's "buy one item and get another at 50% off" deal. Want a gift? Register on the official UrbanDaddy website to receive a special password that will grant you a gift with your purchase PLUS an Original Penguin Membership discount card when you shop this Saturday, June 19th. The discount card can be used repeatedly till December 31st, 2010 to receive 30% off all full priced merchandise. Join the party and bring your Daddy!!! For my readers who don't live in our beloved city: Enter the Ubercool Dad Miami Getaway contest! The drawing will occur on June 30th so spread the news. There are some AMAZING prizes that come along with this sizzling trip to the M.I.A. Good luck! I can't wait to Urbanize all the Miami Daddy's!